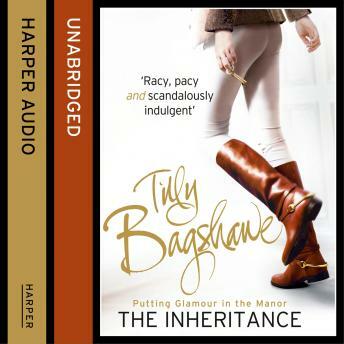 Welcome to Tilly Bagshawe's Swell Valley, where the scandal is in a class of its own. Tatiana Flint-Hamilton's gilded cage is torn away when her estranged father dies. As the beloved family estate slips through Tati's fingers, the portraits of her ancestors look down disapprovingly. The new Lord of the Manor is just as ruthless as Tati. The old-world status of Furlings is everything the wealthy, self-made Brett Cranley has ever wanted. Luckily his wife Angela is the perfect homemaker, happy to fall into line with whatever Brett desires. Along with her two children, Furlings soon becomes Angela's lifeline, a place she can finally belong. And one she's not going to give up easily. Losing everything has made Tati realise that her rightful inheritance is all that she now lives for... and she will do anything to get it back. But the fate of Furlings lies in the hands of the villagers. Let the Fittlescombe fireworks begin!